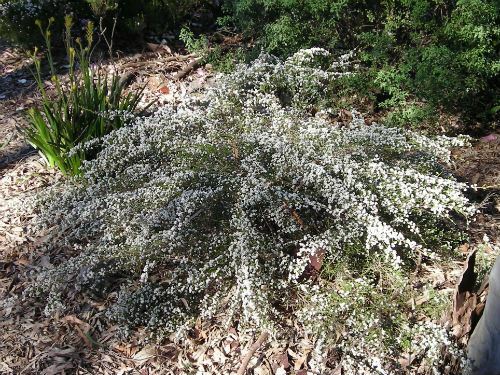 Micromyrtus ciliata is found from south-eastern New South Wales through western Victoria to south-eastern South Australia and grow in a variety of habitats from sandy coastal heaths to rocky slopes. I planted my first plants many years ago in my garden in the northern Sydney suburb of Westleigh and they are still growing and flowering well. They have a graceful appearance and once established they only need water in very dry times. 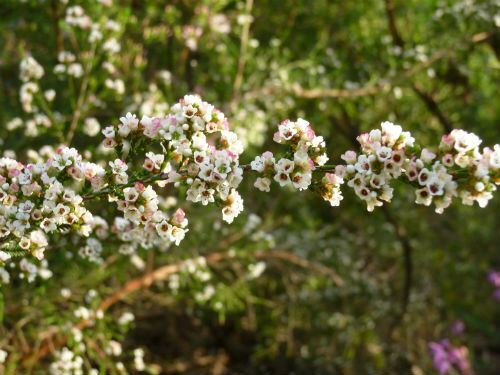 They are a low spreading shrub with long arched and tapered branches. 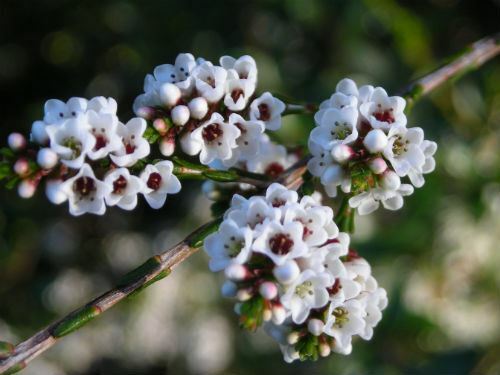 The plant will grow to about 1.2 metres wide and up to one metre high, although my plants do not get to that width as I give them a good prune during flowering for cut flowers. Micromyrtus ciliata has very small (2 to 3 mm long), aromatic, dark green leaves. The small white (sometimes pinkish) cup shaped flowers with five rounded petals, mature to deep pink or red and persist for many weeks. The flowers are massed along the branches to give an outstanding display from late winter to summer. Micromyrtus ciliata propagates easily from cuttings and flowers while quite small. Micromyrtus... From Greek micros, small and the genus Myrtus, generally referring to the small growth habit of most species. cilata... From Latin cilium, an eyelash and the suffix -atus, referring to the stiff hairs around the leaves of this species.